Running a convention center can be very rewarding for many different reasons. First of all, you’re going to discover that you can host many different types of events, whether it’s an Infotech convention, a wine tasting, or even a Comic Book convention. There are millions of different reasons for which an organization might choose to host an event, and as the convention center owner, you know that you need to provide the most basic of amenities to your guests. For example, you need to make sure that the center has running water, working bathrooms, kitchens, presentation areas, and most importantly, convention halls. There are so many different things that you’re going to need, but if you spend too much time worrying about the inside, the outside is going to end up slipping to the wayside. So what do we mean by that? There are two aspects to this, the first being that you need to make sure your guests are able to get to the convention hall, the second being that they are able to leave and get to places that they need to go after they arrive. We’re going to discuss these two concerns in order. The first and most important thing perhaps is making sure that all of the passengers make it to the convention safely. If you are like most convention centers you have a one large parking lot and several satellite parking lots for overflow. Typically, the regular lot is going to fill up pretty quickly, and with that being the case you will need to start shuttling people in from the satellite locations. They could walk, of course, but that’s definitely not a requirement! One of the biggest problems with asking people to walk is the danger of crossing a busy road or highway – it creates a liability that you don’t want to deal with. That being the case, shuttle buses are a great way to transport people from their cars all the way to the convention center doors. The other reason for shuttle bus transportation at a convention of course is to make sure people get to various destinations outside the hall. For example you might need to make sure that they get to local restaurants, stores, or even hotels if it is an overnight convention. There are many possibilities and plenty of reasons to find a used mini bus for sale. Headroom – Your passengers need to have plenty of headroom, foot room, leg room and every other kind of room if they’re going to feel comfortable. On top of that, it gives everyone a good impression of your convention hall. Safety – Good shuttle buses are built with a roll cage installed so that the passengers remain safe even if the bus were to ‘flip over’. 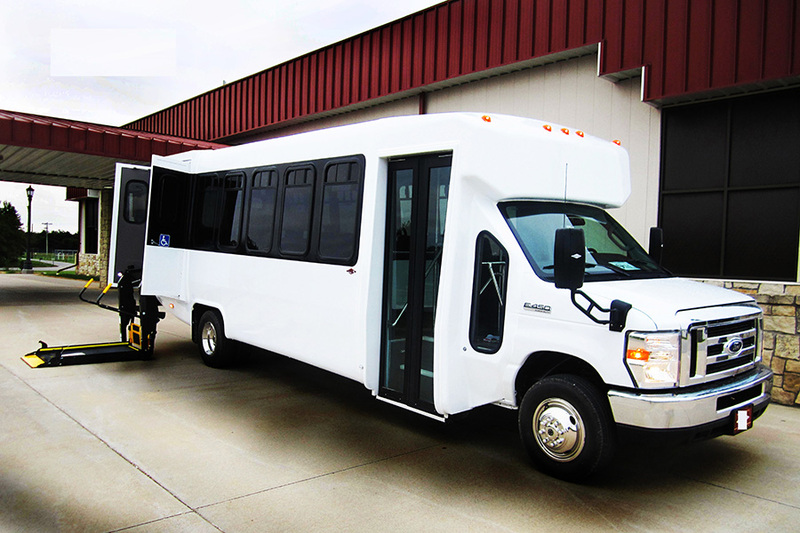 ADA Compliance – Shuttle buses need to comply with the Americans with Disabilities act, meaning wheelchair lifts, chair storage, and handicap accessibility. All of these things are going to be critical on your bus! 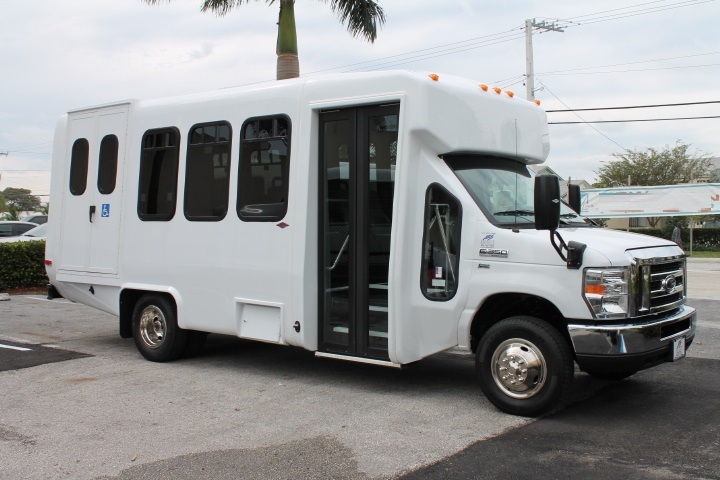 Along with meeting these needs, any shuttle bus for sale will need proper service at some point no matter how good of repair it happens to be in when you first purchase it. Accidents happen, parts become worn out, and eventually you’ll need help. Atlantic Bus has spent the last thirty years helping people just like you all over the country – ask about our parts and service department when you’re considering us as your primary shuttle bus provider. We’re ready to accommodate all of your transportation needs right now!